Peaches and Paprika get in the spirit of the Dr Seuss Day at the local library! That is such a cute picture of you two. You look so good in your stripped hat. Happy Dr. Seuss day to you all. Mmmm, wondering what wonderful things he had to say inside your special book? This sounds like the best of Dr. Seuss' books, Peaches and Paprika. And you two look great in those hats. 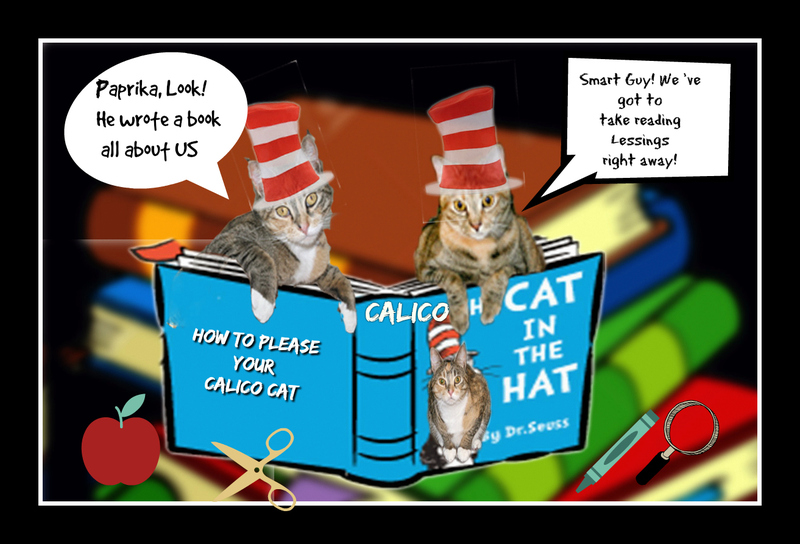 Purrs, and happy Dr. Seuss Day! Thank you for visiting and we hope you two will join in next year. We love your purr! Happy Dr. Seuss Day! Very cute graphic! Happy Dr. Seuss Day cuties! We hope you have a splongerframdidly and whamflorious HAPPY DR SEUSS DAY!